I think most people are deterred from cooking salmon because there's a fine line between perfect, moist, flakey fish..... and dry overcooked fish. However, just because a food is daunting to cook, doesn't mean we should avoid cooking it! 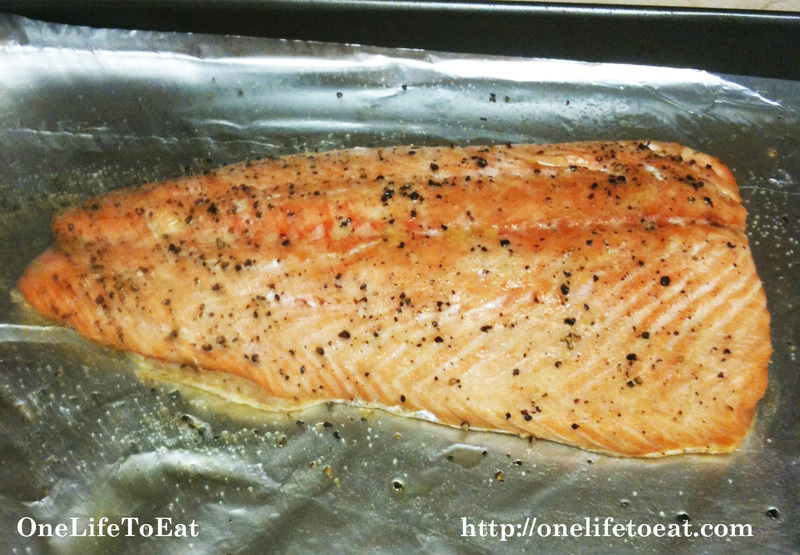 Salmon is high in protein and is an excellent source of omega-3 fatty acids! Luckily, the Food Network's Pioneer Woman, Ree Drummond, has found the fail-safe method. Put the salmon in a COLD oven, and then turn on the heat to 400 degrees. Keep salmon in oven for 25 minutes, and then remove for perfection.